Tropical design elements with exotic butterflies, flowers, stars, leaves and colobri bird. 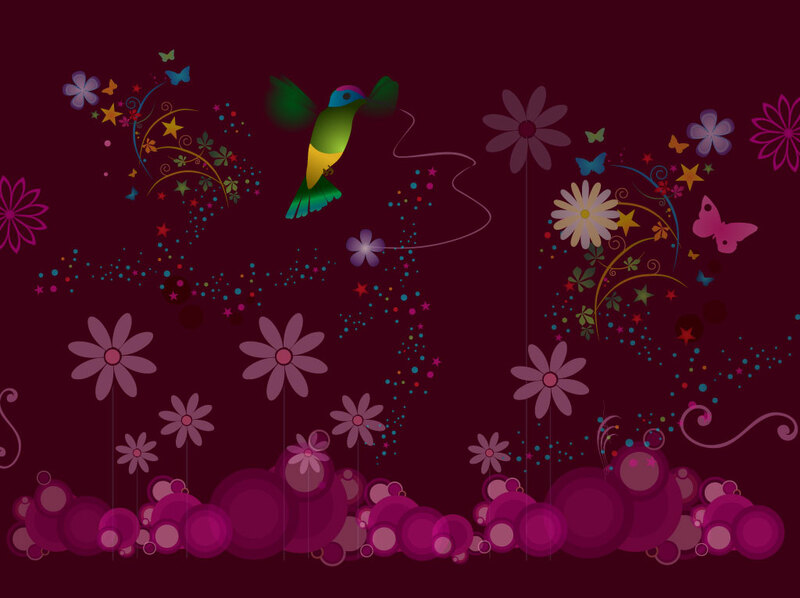 Fantasy nature vector download featuring a burgundy background image with a decorative design of sparkles, retro circles flowers and a colorful hummingbird. Beautiful graphics for your feminine themes, greeting card designs, custom smart phone covers and banners. Tags: Backdrop, Circles, Colibri, Exotic, Fantasy, Nature, Paradise, Tropical.